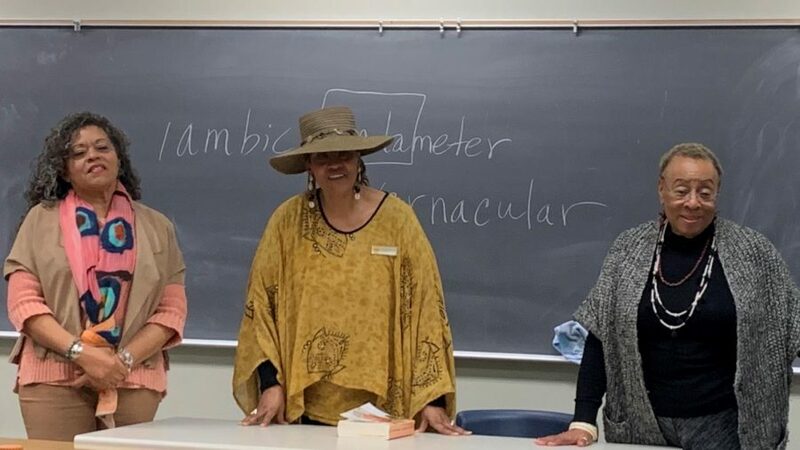 In celebration of Women’s History Month, San Diego Mesa College hosted an uplifting and empowering poetry reading by renowned local black women poets on March 11. The event, entitled “From Where I Stand,” invited Dr. Judy Sundayo, Rev. Alyce Smith Cooper, and Dr. JoAnne Cornwell to read from their very own poetic works. The presented poems were carefully selected to honor the theme of “Women Rising” for Women’s History Month. The reading took place in the classroom of professor Theresa Ford of the Black Studies department, who was able to fondly introduce each poet, having known them personally for many years. On that powerful note, Sundayo, Chair of the Committee for Diversity Action, Inclusion & Equity, rose to the podium. The first poem she selected to share was in honor of the late Maya Angelou, who she saw not only as someone she aspired to be, but as a wisdom weaver as well. There was a pause before she began, and the room came to a complete silence. Sundayo eloquently recited her beautiful poem as the audience hung on her every word. Sundayo directly addressed Angelou in her poem, “Miss Maya, you were the woman weaving wisdom with a phenomenal flair. And in a language our hearts recognized, you were the woman weaving the words that would shelter us from ignorance,” she read. The room filled with applause and faces in the audience were beaming. Then, it was Rev. Cooper’s turn, as she continued to inspire the audience with a piece dedicated to Grandmother Africa. She performed her poem with a bold energy that showcased her colorful personality. She declared, “Together we stand, forward we move.” Her moving performance excited the listeners who were clapping and nodding with satisfaction. Afterwards, the audience enjoyed a poem by Cornwell, professor emerita of San Diego State University, that was more playful and flirtatious. Cornwell told the crowd, “From where I stand … It’s all about love.” Her poem depicted themes of sisterhood, love, and attraction and it was so personal that she made you believe that she was speaking to you as one of her best friends. Laughter filled the room as everyone listened to with amusement. Before the second round of readings, Mayasa briefly interrupted to emphasize how special this day was to have the three poets gathered here together. 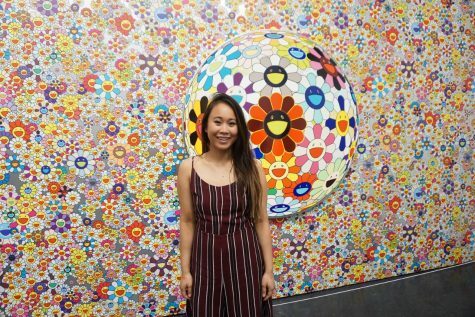 “The caliber of people that you have before you is something that many people never get to experience at all,” she said. “All of these women … can hold any place, anywhere, at any time, and to have them all in one place, together, is something that very rarely happens in an educational experience.” The audience was smiling and nodding in agreement, appreciative to be given the rare opportunity. At the end, an audience member asked the poets what their advice was to aspiring poets or people still unaware of their poetic capabilities. They explained that writing poetry is a very enriching and expanding experience. They encouraged the audience not be afraid of it and to just run with it, because it’s a self-realizing and self-healing process.